Welcome to my website, it is the leading resource for St. Augustine and Northeast Florida real estate information. 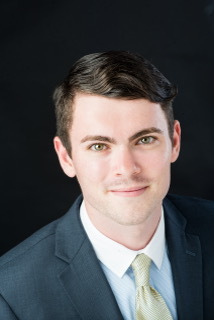 I am Conor Flynn a Licensed Real Estate Professional specializing in real estate in St. Augustine and the Northeast Florida area. My goal is to make sure all my customers’ real estate transactions are hassle-free. If you are contemplating putting your home on the market in the near future, please contact me to receive a FREE Market Analysis. Knowing a fair listing price is critical and I am here to help you determine the most precise value of your home. Before becoming a Realtor, I was a student at Sante Fe College where I studied economics. While attending Santa Fe I was elected by my peers to serve as the Student Body President of the college. Also, while at Santa Fe College, I raised two service dogs for Southeastern Guide Dogs and was award the Calling to Service award by the President of the United States. In my free time, I am a Professional racecar driver that competes in the IMSA and Tran-Am series. Click Here for more info on my racing career.